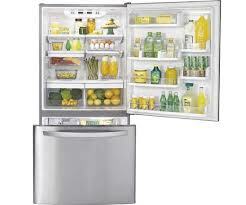 Healthizen's Blog: Refrigerator - Our Friend Or Foe? Have you started taking steps to become Healthy.. as the famous saying goes: -The journey of a 1000 miles begins with the 1st step! That very discussion gave me the idea of this post. Good Health starts with fresh food. but ever since Refrigerators got a place in the normal Indian household, its popularity has been increasing by leaps and bounds. I dont think there can be any family who can dream to live without the Fridge! 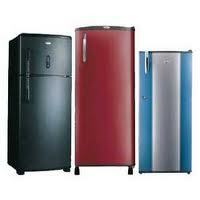 1) We use refrigerators to keep our water cold, stock it and keep ice too! But the so called tasty and thirst quenching Cold water is not good for digestion and the health of your intestines, Because food is digested best when water at or near to room temperature is taken along with it. Oh well if you feel that you need to store cold water, Just In Case if the guests arrive, time to check yourself, Dont stock/do things which are not good for your health to take care of Just In Case - Cases. Different varieties of Ice creams, Yoghurts(sweetened) etc (again the list is endless). These all things are Calorie dense, and we all know that right? Still we store them. I mean.. I am not totally against eating Ice creams or other desserts as such in your entire life okay! But If you feel like having an ice-cream, go to the parlour have the smallest cup or bigger size of cup of the variety you want and get over the craving...why carry the load of your one time craving all the way back home!!! 3) We store Veggies and Fruits in it. As far as veggies and fruits are being stored in the refrigerator (for 1-2 or 3 days), its a very nice thing, storing fruits and veggies for a longer time decreases their nutritional value. 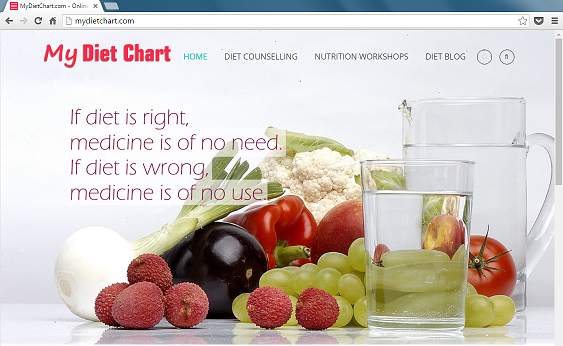 And the moment you start storing cut Veggies/ Fruits, the nutritional content of the veggies starts getting depleted. 4) Storing the food which is Good and Tasty for the next day!! b) In case if you are ordering for food, Please ensure that you order appropriate amounts and not much is leftover... And yes don't eat beyond capacity, to prevent the situation of leftover food! c) If you have too much of raw ingredients left out and you feel it should be added to the meal to increase the quantity to save the hassle of cooking the other day - Stop Right Away!!! Those raw ingredients can be used to make something fresh tomorrow! 5) If you are trying to Cover up the wastage of food..
a) Consume the previous day's food as the first meal of the next day.e.g. : Yesterday's Pizza can be a great meal for today's Breakfast! I agree that eating fresh is healthier! But fridge's offer so much convenience! And dairy products like milk and cheese ned to be stored in the fridge! Hi Sita! Totally agree about the convenience part, that's why I have tried to include those points which prevent us from eating fresh food.